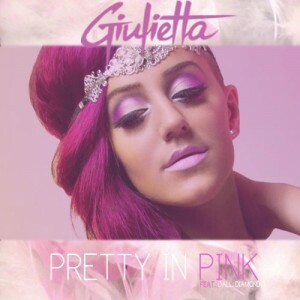 A month after bringing you news about the new single ‘Pretty In Pink’ from Aussie songstress Giulietta Russo, the passionate pop performer has revealed the official video for the new track. ‘Pretty In Pink’ is the third single to be lifted from the Melbourne songstress’ forthcoming album ‘911 : Code Pink’ and is a mid-tempo synth-heavy track that features a cameo by Dall Diamond. The clip opens with our leading lady out for a lovely drive in the country, but it soon appears that everything’s not quite as it appears. Seems someone’s obviously done her wrong – and she’s making sure that they’re going to learn their lesson. Great stuff :D but if anything I want the new album. nothing against the song? BUt if she’s australian shouldn’t it be 000 not 911. Is she aiming for an american audience?